Watching the growth of Windows Phone 7 over this past year has been an exercise in patience. Microsoft’s strategy of showing the customers what they were working on months ahead of an actual release is very different that what one would expect from a company like Apple, where they announce a product only after it was already in production. The advantage of Microsoft’s strategy is that they have received feedback from both developers and consumers on the different features and functionality that will be included or (in some cases) left out. I really think Windows Phone 7 will be a better product because of this strategy. Hit the break for all of my thoughts on Windows Phone 7. There are a couple of areas that I feel like Microsoft has hit the nail on the head with Windows Phone 7. Microsoft’s strengths as a company lie in their Enterprise offerings and their services (either owned or partnered). Much like Google, a mobile platform is more of a way to get their primary cash cow products into the hands of more consumers. The fact that Microsoft is able to seamlessly integrate Exchange, SharePoint, Office, Bing, Zune, Xbox Live, Facebook and others directly into the platform give it a leg up over any of their competitors. For years I’ve wished that Microsoft would integrate more of their products Windows Mobile, and now they are finally making it happen. The other strength that Microsoft has finally taken advantage of is their developer ecosystem. Microsoft’s developer tools have been among the best in the business for a long time, and many developers are already comfortable using their tools. In creating an environment that is conducive to quickly and efficiently rolling out high quality applications, Microsoft has positioned Windows Phone 7 to be a strong contender in the “apps” arena; which can only be good for their end users. One of the areas that has received a substantial amount of attention in Windows Phone 7 is Microsoft’s innovative Metro UI. Color me impressed with the focus on smooth transitions and navigation. Functional design is such a difficult goal to achieve, the balance that is required to be effective is tough to perfect. Microsoft’s aggressive approach in creating a mobile UI that has never been seen before could very well be the biggest innovation that Windows Phone 7 brings to the table. I’m not entirely sold on the Start Screen yet, I really would like to be able to add a background image or maybe have multiple Start Screens; but that may be nitpicking. Metro is going to be one of those things that I’ll have to use for a couple of weeks before I really form an opinion. My biggest concern is that some functions will require five or ten different swipes and taps to dig down to the appropriate level, if that concern proves wrong, Windows Phone 7 could be a huge success. From a consumer’s perspective, there are three things that I like to do with my phone. The first is consuming information from various sources. Whether I’m reading email, viewing my Twitter feed, using Facebook, or just reading the news; I’m spending more time using my device to read than I am to actually input anything. Having a platform like Windows Phone 7 that seamlessly handles multiple Exchange accounts and automatically integrates with my Facebook contacts is something that I really look forward to. The second thing that I’m looking forward to with Windows Phone 7 is the media functionality that will be offered through Zune. I’ve used my Windows Mobile device as my primary media player for some time, but it’s never really been natural. I’ve used several different applications for playing back different types of media, mostly because I’ve never found a single application that met all of my needs. The fact that very few Windows Mobile devices had 3.5mm audio jacks just made it that much harder to sell out to Windows Mobile as my only device. With Windows Phone 7, Microsoft has (it seems) remedied both issues. With the chassis specifications that they have given, we know that every device will have a headphone jack. With Zune being one of the key applications built in, we can assume that at minimum we will be in better shape from a software standpoint over Windows Mobile. Last but not least is Xbox Live. From a gaming perspective, Microsoft is noticably absent in the portable gaming sector. Between the major gaming platforms, XBox is the only one that doesn't have a portable platform. While I wouldn't go so far as to say that XBox Live on Windows Phone 7 will compete directly against the PSP and Nintendo DS it will be the closest thing Microsoft has, and I wouldn't be surprised if the "always connected" nature of Windows Phones makes it a very appealing choice. I’ve played some entertaining games on Windows Mobile, many of which have occupied hours of my life (Meon anyone?). But nothing on Windows Mobile compares with what we have seen on Windows Phone 7 and Xbox Live. Some of this goes back to the minimum hardware specifications for Windows Phone 7, and some of it has to do with the developer tools that Microsoft has built; the bottom line is that Microsoft is making every effort to capitalize on the things that they do best. 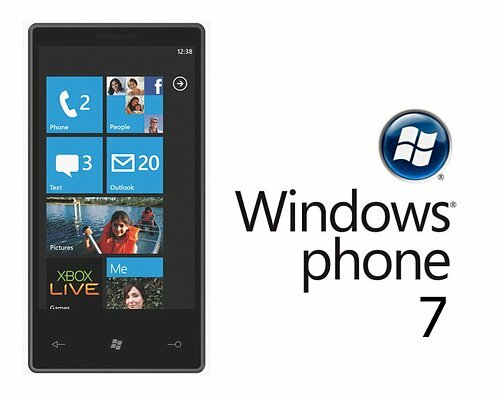 Like everyone else, I still have questions about Windows Phone 7. I would really like to see their implementation of copy and paste. I would like to have multitasking enabled, though I don’t think that is as much of a deal breaker as some say. Every indication to this point is that the added value will outweigh any features that are missing at launch, though I would definitely like to see Microsoft follow through on its promise of regular updates.